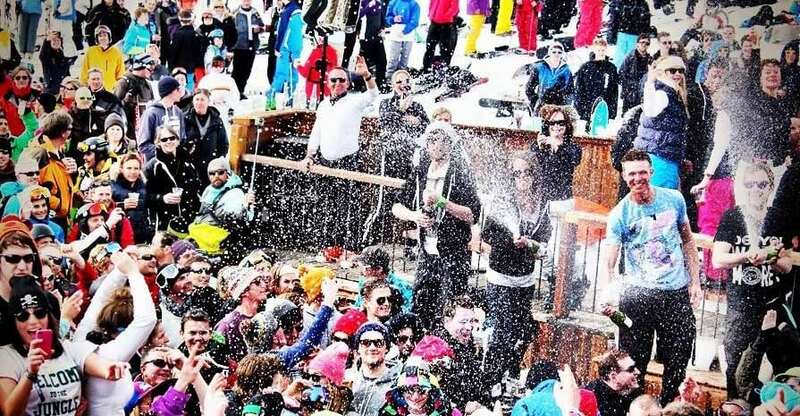 If you’re up for a good party then Méribel is definitely the resort to be in! One of the liveliest ski resorts in the Alps, it’s a firm favourite with British skiers and boarders. Between its 20 bars and three night clubs, Meribel has enough après to keep you going seven days a week, all hours of the day. 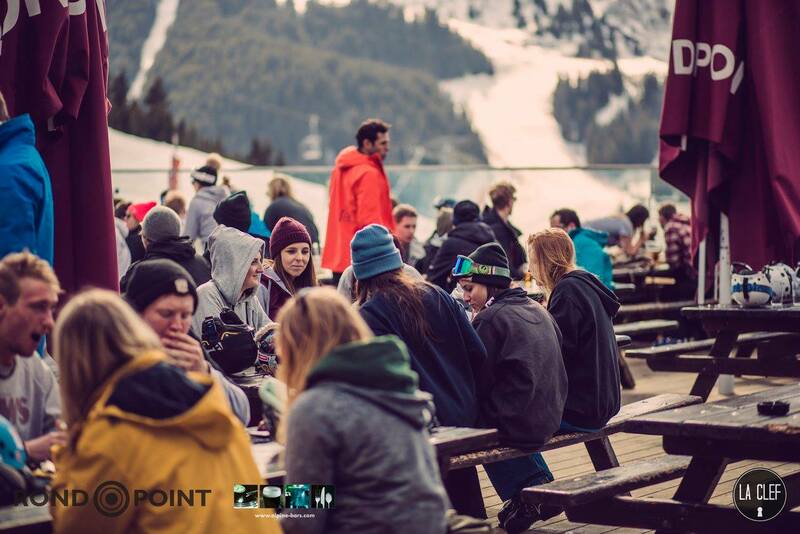 Start your après even before you get down the slopes at the Folie Douce. This Alpine institution starts to fill the valley with music from 14:00 onwards. With its sunny, outdoor terrace and gorgeous mountain views, this place puts on a show to remember. Choreographed sets from dancers and DJs, as well as copious amounts of champagne being sprayed on the crowd, keeps the atmosphere electric. So climb on a table, show off your finest ski boot dance moves and marvel at the view from Méribel to Mont Blanc. The Folie draws in every type of holiday-maker from the table-dancing seasonnaires to the VIP section ordering bottles of Cristal, and everything in between! The drinks do lean towards the pricey end, however, there is free entry to see the amazing daily performance. Under 18s must be accompanied by an adult. Situated at the Saulire mid-station, it’s perfect for access by foot as well. No descent into Meribel would be complete without an après trip to The Ronnie. Perfectly placed on main piste into Méribel centre, as well as being on the bus route, this bar is always overflowing with people enjoying the joy of après ski. 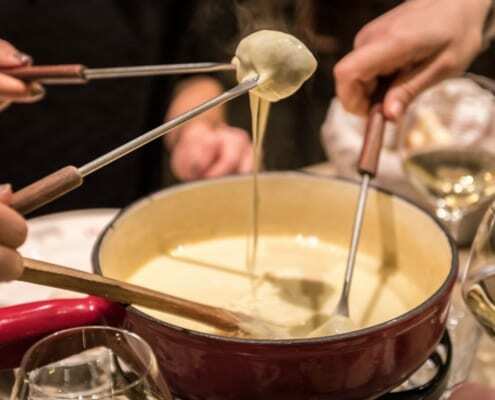 Stop by to soak up some après-ski ambience at one of the best venues in the Alps. Live music every day from 17:00, with guest DJs from the global circuit performing on the outside stage – this place has a buzzing atmosphere (table dancing and all!). Looking for some good grub? 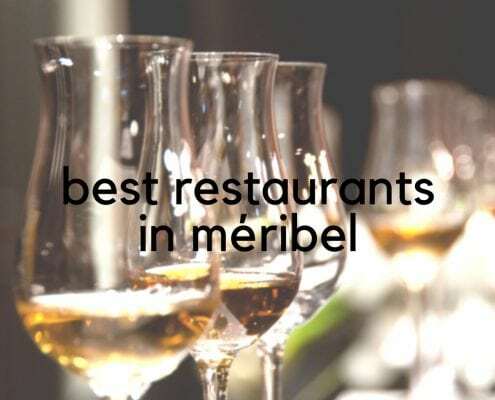 These are the best restaurants in Méribel. For the night owls, things kick off a bit later in La Tav. This traditional looking pub has regular late-night bands on from 22:00 on Tuesdays, Thursdays, Fridays and Sundays. With everything from dub and reggae to deep house and soulful funk. While you’re there, be sure to try the infamous Méribel Caliente – a shot of rum accompanied by a shot of espresso. La Tav is situated in central Méribel, opposite the New Gen shop. A newer addition to the Méribel bar scene, Copiña is a tapas and cocktail bar specialising in world wines, craft beer and delicious Spanish flavours. If you’re looking for a good cocktail – this is the place to go. With their large menu of speciality drinks, the barmen are expert in whipping up something unique and tasty. It’s small size gives it an intimate atmosphere and it’s the perfect place for a calm and relaxed vibe after a day on the slopes. Ski down to blue piste Golf into Méribel Village and you can reward your efforts with a drink at Lodge du Village. This local watering hole has an array of local bands and DJs on throughout the week. Tuesdays and Thursdays are the days to be here with live music kicking off from 16:00. If you find all that dancing around has worked up an appetite, then head downstairs to the restaurant La Terrasse du Village where you’ll find a delicious menu and a sun-filled terrace. Looking for another ski resort with great après? St Anton has an awesome après scene. The Doron Pub is the oldest bar in Meribel and due to its central location, it’s busy every night of the week. Early on in the evening, it’s pretty relaxed with people playing pool and watching extreme skiing on TV. However, from 10pm -1.30am it gets pretty wild with seasonnaires and holiday makes busting out the moves to live bands and DJs. They also have some live music on for après a few days of the week as well. If you’re after a good craft beer, The Brewer’s Den is where you’ll find it. Situated just above O’Sullivans, this place has the best array of craft beer that Europe has to offer. They also serve great BBQ if you need a snack to get you through the rest of the evening. Live music on regularly, this place has a more relaxed atmosphere and is a great place to start the night before you head down to Sully’s. For those that want to party until the early hours, this is the place for you. 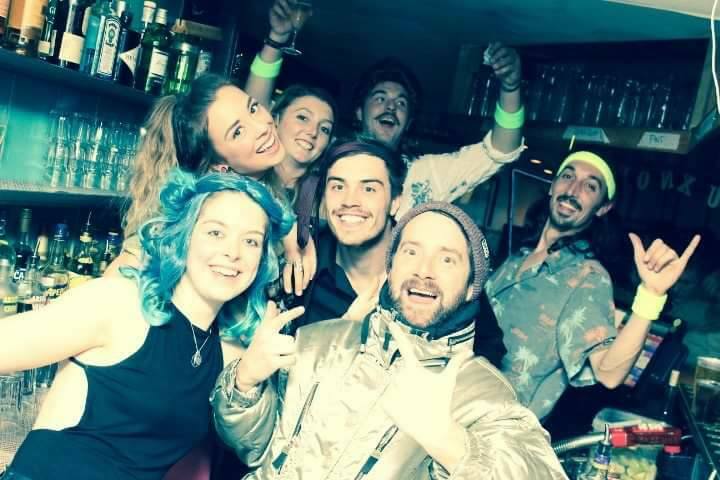 The young at heart and the foolhardy can be found at O’Sullivans, Meribel’s premier late night club. Famous for both local and international DJs, who will keep you dancing until dawn (or 5:00 when they officially close!). This place is not for the fainthearted. Sully’s is located just outside Meribel centre in Mussillon and easily accessible via the buses. 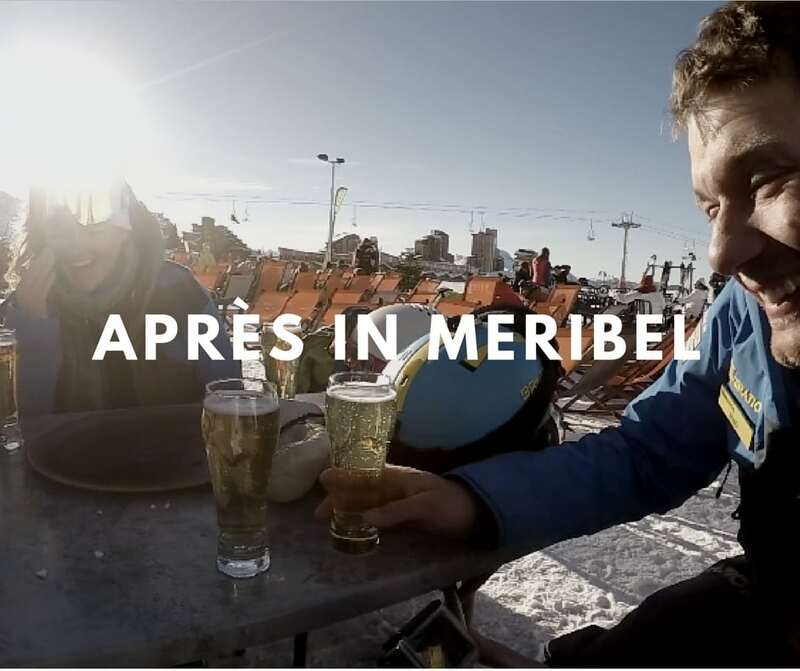 Which is your favourite spot to après in Méribel?